The rabbinically approved Cardinal Parolin (center) in a synagogue in Israel. 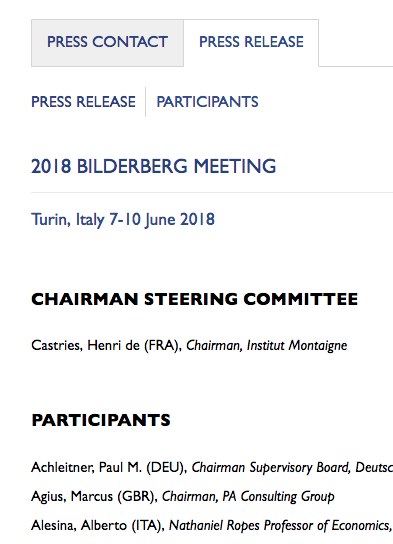 Below are screenshots from the Bilderberg Group’s website and links to the relevant pages. As one can see: Parolin, H.E. 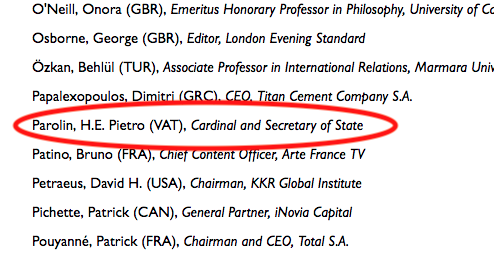 Pietro (VAT), Cardinal and Secretary of State; will be in attendance. 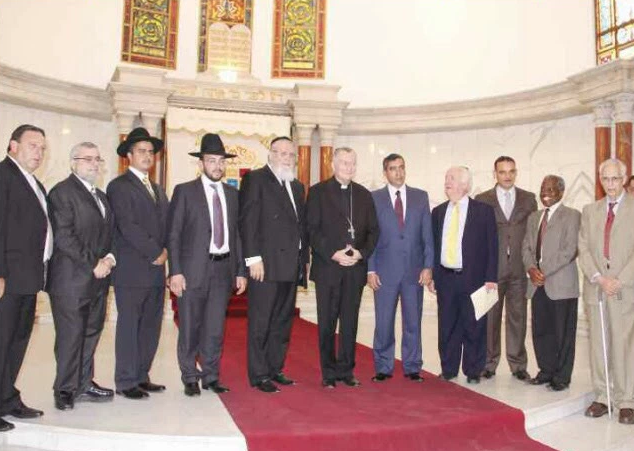 Keep in mind that the next time one hears Francis lamenting: inequality, the marginalized, immigration, business, war, usury, the financial system, etc... that Francis and his lackeys are full conspirators in the system they complain about. The lamentations are for show only. Please, don’t be gullible and think otherwise. 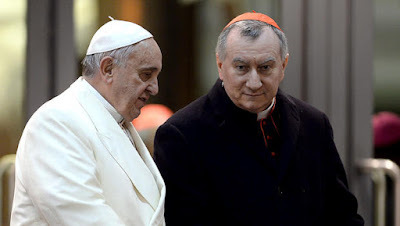 Parolin attending the King makers meeting—very bad portent. Think Bergoglio with far more years ahead of him to create destruction of the Church. Do we require any more evidence that the Vatican is an eager and willing participant of the NWO juggernaut? in popular parlance, I would say "that he's throwing it up"... the hand gesture of the Illuminati... the diamond shape with his hands but then that's all conspiracy nut theory. 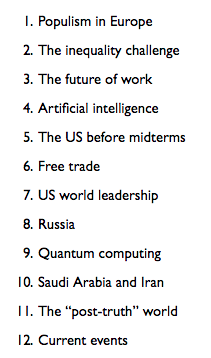 of which i've subscribed to for 35 years. and enjoyed every minute. Can't wait to see how this all ends up.